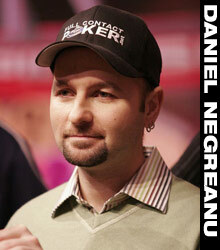 I came across a very interesting podcast interview this week with Canada’s most renowned poker pro, Daniel Negreanu. He spoke of many issues with the poker world today, hitting on topics like the growth of live poker, the efficacy of live streaming on Twitch, and how seniors are being attracted to the felt. The conversation also led to subjects like the Presidential election in the United States, and recent controversy surrounding William Kassouf. One of the most intriguing topics (in my opinion) was Negreanu’s relationship – or lack thereof – with fellow poker pro Mike ‘The Mouth‘ Matusow. “What is the status of your personal relationship with Mike Matusow?” he was asked. Unfortunately, Daniel didn’t elaborate on the intricacies of the alleged theft. “I haven’t gone public with the exact details of that,” he said. It’s not known precisely when this all took place either. Back in 2007, Negreanu wrote a rather warm and tingly blog post on FullContactPoker. He apologized to Mike Matusow for incessantly degrading his gameplay during a High Stakes Poker broadcast in which Daniel played co-host / commentator. “I was obviously poking fun at Mike, but that’s mainly because I’ve known him for years and we have been friends for a long time,” Daniel wrote on that now antiquated post. Obviously, those days are long gone now. Negreanu went on to describe another topic on which he and Mike Matusow clearly disagree – US politics. Anyone who’s read Mike’s recent social media posts knows he doesn’t fall into that category. There was actually an incident back in July between Matusow, Negreanu, and another famous poker pro, Erik Seidel, relating to their support of US Presidential candidates. It’s fairly obvious from Daniel Negreanu’s comments that his former friendship with ‘The Mouth’ had already come to an unceremonious end when he typed that comment, considered to be “unnecessary” and “way out of line” by the majority of the live and online poker community.